Frans Nielsen scored the only goal in the shootout, to lead the Red Wings to a 3-2 win over the Rangers Friday night in Detroit. The win snapped a three-game losing streak for the Red Wings, while the Rangers have now lost 3 of their last 4 games. It was the 3rd time in the last four games that the Blueshirts needed a shootout to decide things; they lost to the Devils in Newark December 21st, and beat the Capitals Wednesday in Washington. The game featured quite the goaltending duel between Henrik Lundqvist and Detroit’s Jimmy Howard. Lundqvist finished with 33 saves, while Howard came away with 37. David Desharnais got the Blueshirts on the board late in the 1st period, beating Howard at 17:23 for his 4th goal of the year to give New York a 1-0 lead. Andreas Athanasiou tied the game, 1-1, at the 7:46 mark of the 2nd period. Early in the 3rd period, Vinny Lettieri, playing in his first NHL game, scored his 1st NHL goal, off a pass from Boo Nieves at 2:35, to make it 2-1. Lettieri was in the line-up in place of Chris Kreider, who is out indefinitely, having been diagnosed with a blood clot in his arm. But Henrik Zetterberg, the Detroit captain, made it a 2-2 game at 7:05. After Gustav Nyqvist deflected an errant Nieves pass in the New York zone, Zetterberg got the puck, and skated in on Lundqvist. His first shot was stopped, but Zetterberg beat Lundqvist with the rebound for his 8th goal of the season. After a scoreless five-minute overtime, Mats Zuccarello, Mika Zibanejad, and Kevin Shattenkirk could not score in the shootout. Nielsen’s goal in the first frame proved to be the game-winner. The Rangers [now 20-13-5, 45 pts] play the Buffalo Sabres Monday in Citi Field in the NHL Winter Classic. Auston Matthews had a goal and an assist, powering the Toronto Maple Leafs to a 3-2 win over the Rangers Saturday night at The Garden. It was Matthews’ first game back after missing six games with a concussion. It was the 2nd straight loss for the Blueshirts. William Nylander gave the Maple Leafs a 1-0 lead with 2:48 to go in the 1st period, taking a pass from Matthews and beating Henrik Lundqvist. The Rangers could not take advantage of 1:40 of a 5-on-3 advantage midway through the period. Ron Hainsey made it 2-0 Toronto in the first minute of the 2nd period with a power play goal at 0:50. But Jimmy Vesey quickly cut it to 2-1 at 2:37 of the period with a heads-up play, picking up a loose puck behind the Toronto net and backhanding a wraparound past Frederik Andersen for his 8th goal of the season. Matthews made it 3-1 at the 11:54 mark after a defensive lapse by the Blueshirts. Both Ryan McDonagh and Nick Holden got stuck in the corner, trying to pry the puck loose from Nylander. Zach Hyman picked up the puck, and got it to a wide-open Matthews, who scored his 14th goal of the season. The Rangers came out more aggressively in the 3rd period, as they tried to come back from the 3-1 deficit. J.T. Miller made it a one-goal game again with 8:35 to go, taking a pass from Pavel Buchnevich, who was behind the net, and slipping the puck past Andersen to make it 3-2. Then Michael Grabner looked as if he had tied the game 44 seconds later, with a laser beam past Andersen with 7:51 remaining, but the Leafs challenged the play. Replays showed that Kevin Hayes was offsides, so the goal was taken off the board. A too-many-men-on-the-ice penalty with 1:24 effectively squashed any chance the Rangers had of rallying in the closing seconds. The Rangers [now 19-13-4, 42 pts] are off until a Wednesday night game at The Garden against the Washington Capitals. Former Ranger Brian Boyle scored the game-tying goal midway through the 3rd period, and then scored the deciding goal in the shootout as the New Jersey Devils beat the Rangers, 4-3, Thursday night in Newark. The loss snapped a three-game winning streak for the Blueshirts. New Jersey dominated the action most of the night, hammering Henrik Lundqvist with 48 shots on goal on the night, the most the Rangers have allowed in one game this season. Lundqvist, who made a season-high 45 saves, kept things close, especially in the 2nd period when the Devils had 23 shots on goal. John Moore gave the Devils a 1-0 lead 7:22 into the 1st period, but Jimmy Vesey tied the game, 1-1, a few minutes later, at the 9:55 mark, after a flurry of shots in front of John Schneider and the Devils’ net. New York took a 2-1 lead at the 11:59 mark of the 1st period. Chris Kreider‘s initial shot was stopped but Nick Holden put the rebound past Schneider for his 2nd goal of the season. In the 2nd, Blake Coleman scored a shorthanded goal with 3:36 to go in the period to tie the game 2-2. The Blueshirts regained the lead early in the 3rd period when Kevin Hayes took a puck that had caromed off the end boards and beat Schneider from a tough angle to make it 3-2 at 1:48. That set the stage for Boyle’s heroics. Midway through the period, while stationed just in front of Lundqvist, Boyle backhanded a pass from Taylor Hall into the net for a power play goal at 11:54 and a 3-3 tie. Neither team scored in the five-minute overtime, and the Rangers could not take advantage of a power play opportunity for the final 68 seconds. In the shootout, Kyle Palmieri and Mika Zibanejad each scored in the second frame of the OT. Boyle beat Lundqvist under the goalie’s legs in the 4th round of the shootout, and Schneider stopped Kevin Shattenkirk to seal the win for New Jersey. 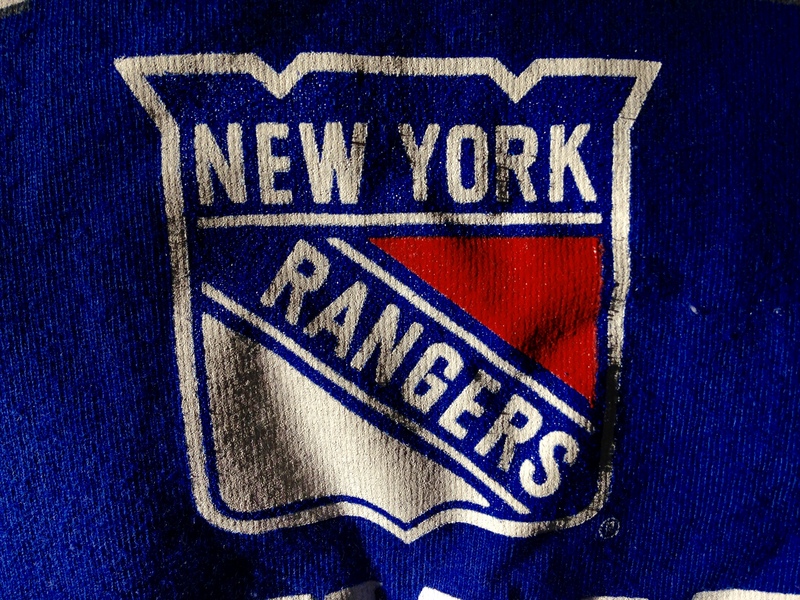 The Rangers [now 19-12-4, 42 pts] host the Toronto Maple Leafs Saturday night at The Garden. Paul Carey scored two goal in a game for the first time in his NHL career, and Henrik Lundqvist made 39 saves, as the Rangers beat the Anaheim Ducks Tuesday night at The Garden. The win extended the Blueshirts’ winning streak to three. 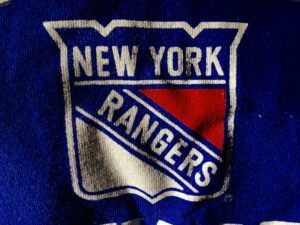 The Rangers, who never trailed, jumped out to a 1-0 lead in the final minute of the 1st period. Carey took a terrific backhand pass from David Desharnais and beat Anaheim goalie John Gibson at 19:14. Lundqvist finished the period with 16 saves. New York made it 2-0 in the opening minute of the 2nd period when Kevin Hayes‘s wrist shot beat Gibson over the goalie’s right shoulder just 38 seconds into the period. It was Hayes’ 8th goal of the season. Carey made it 3-0 at the 13:00 mark of the period, off another assist from Desharnais. Lundqvist lost his bid for a shutout with 5:17 to play in the 3rd period when Ondrej Kase beat Lundqvist to the glove side for a goal that made it 3-1. Michael Grabner then scored his team-leading 17th goal of the season with 3:23 to play – but not without a little controversy. Gibson stopped Grabner’s initial shot, but Grabner appeared to flip the rebound over Gibson and into the goal before it was batted out of the air and out of the goal by Anaheim’s Rickard Rickell. It was ruled no goal, but after a lengthy video review, referee Wes McCauley said dramatically “After review of the play [dramatic pause] it was determined that the puck [another dramatic pause] completely crossed the goal line. We have a goal.” as the Garden Faithful roared. New York had a 4-1 lead. Desharnais and Nick Holden each finished with two assists. The Rangers [now 19-12-3, 41 pts] play the New Jersey Devils Thursday night in Newark. Rick Nash‘s unassisted goal with 3:27 to play gave the Rangers a late lead, sparking them to a hard-fought 4-2 win over the Los Angeles Kings Friday night at The Garden. The win snapped a two-game losing streak for the Blueshirts. It was their 13th home win of the season, tied for tops in the NHL. Nash, who hustled up and down the ice all night, stole Christian Folin‘s pass along the boards, skated in, and beat Jonathan Quick with a wrist shot to Quick’s stick side to make it 3-2 at 16:33 of the period. Henrik Lundqvist made 33 saves for his 15th win of the season, out-duelling Quick. Chris Kreider gave the Rangers a 1-0 lead midway through the 1st period, with a power play goal at 10:23. The Kings answered early in the 2nd period when former Ranger Marian Gaborik beat Lundqvist at 3:46 to make it 1-1. Friday was Gaborik’s 1,000th career NHL game. Kevin Hayes made it 2-1 New York at the 14:43 mark of the 2nd, off a pass from Ryan McDonagh. Torrey Mitchell tied the game, 2-2, 7:59 into the 3rd period, putting a rebound in for a goal, setting the stage for Nash’s heroics. J.T. Miller scored an empty-net goal with 54 seconds to play for the final 4-2 margin. Gaborik finished with a goal and an assist. Jussi Jokinen had 2 assists. The Rangers [now 17-12-3, 37 pts] are right back at it Saturday, when they play the Bruins in Boston. The Senators got goals from Bobby Ryan, Cody Ceci and Zack Smith, and 27 saves from Craig Anderson, and edged the Rangers, 3-2, Wednesday night in Ottawa. The Rangers have lost 3 of their last 4, while the win snapped a five-game losing streak for the Senators. After falling behind 1-0 on a laser-beam by Ryan at the 4:01 mark of the 1st period, the Blueshirts tied the game up early in the 2nd. Michael Grabner redirected a pretty cross-ice pass from Mats Zuccarello past Anderson at 3:57 to make it 1-1. It was Grabner’s team-leading 15th goal of the season. But Ceci made it 2-1 with 4:52 to go in the 2nd period. Brendan Smith lost the puck – and his stick – in front of the Rangers net, and Ceci lifted the loose puck past Henrik Lundqvist. Then came the crusher. Smith scored just eight seconds in the 3rd period, taking pass from Tom Pyatt from behind the Rangers’ net and scoring to make it 3-1. The Blueshirts cut the deficit to 3-2 when Pavel Buchnevich got behind the Ottawa defense, took a pass from Chris Kreider, and scored his 11th goal of the season at 4:40. But New York could get no closer. Lundqvist took the loss, but during the game became the 15th goalie in NHL history to record 20,000 saves. The Rangers [now 16-12-3, 35 pts] host the Pacific Division-leading Los Angeles Kings Friday night at The Garden. Ondrej Pavelec – subbing for the ailing Henrik Lundqvist – made 41 saves, and Pavel Buchnevich’s go-ahead goal midway through the 3rd period held up, as the Rangers edged the Penguins, 4-3, Tuesday night in Pittsburgh. The loss snapped a four-game winning streak for the Penguins. Pavelec made his first start since October 28th, 14 games ago, after Lundqvist came down with the flu. Pavelec was tested throughout the game, especially in the 2nd period, when Pittsburgh out-shot New York 23-8. The seesaw game saw several unlikely heroes for the Blueshirts. Boo Nieves scored his first career NHL goal 16:49 into the 1st period to give New York a 1-0 lead, and 4th-line teammate Jesper Fast‘s goal midway through the 2nd period, off a rebound, gave the Rangers a 2-1 lead. Mats Zuccarello scored his 4th goal of the season with 2:40 to play in the 2nd to give the Blueshirts a 3-2 lead. Zuccarello finished with a goal and an assist. Buchnevich’s goal, with 8:48 to play in the game, actually deflected off Kris Letang and past Pittsburgh goalie Tristan Jarry. It was Buchnevich’s 10th goal of the season. The Penguins got goals from Conor Sheary, Phil Kessel, and Patric Hornqvist. Since the Rangers’ 3-7-2 mark to start the season, the Blueshirts have won 12 of their last 15 games. The Rangers [now 15-10-2, 32 pts] play the Capitals in Washington Friday night. 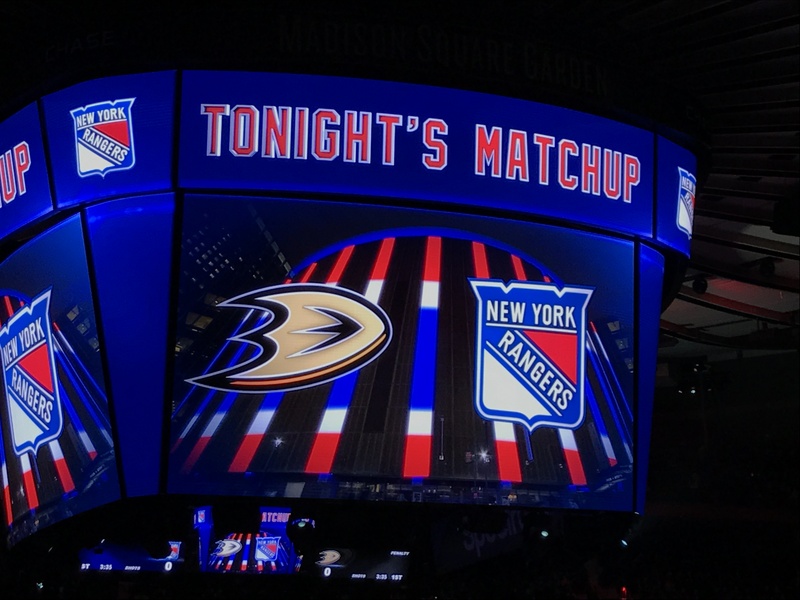 Michael Grabner scored a hat trick – including two empty net goals – to power the Rangers to a 5-1 win over the Carolina Hurricanes Friday night at The Garden. Henrik Lundqvist made 32 saves for his 418th career win. It was a rough start for the Blueshirts; Justin Williams scored for the Hurricanes just 56 seconds into the game to make it 1-0. It was Williams’ 700th career NHL point. The Rangers would score twice in the first two minutes of the 2nd period to take a 2-1 lead. David Desharnais scored 37 seconds into the period to tie the game, 1-1. And Grabner first goal of the night at 1:52, off an assist from Kevin Shattenkirk, made it 2-1. The Hurricanes gambled, pulling goalie Scott Darling with several minutes to play. Grabner’s first empty-netter at 17:57 made it 3-1. And Grabner completed the hat trick at 18:48 with his 2nd empty net goal. He has 6 empty-net goals this season. Paul Carey scored a powerplay goal at 19:20 for the final 5-1 margin. Mika Zibanejad missed his 2nd straight game with a concussion. The Rangers [now 14-10-2, 30 pts] play the Penguins Tuesday night in Pittsburgh.